It is intended that Virgin Atlantic will relocate to the new building from its existing Head Office in Crawley Business Quarter during 2016. This building will provide complementary functions to the airline's other building, The Base, in Fleming Way, which it will continue to occupy/own Leonardo is due to complete at the end of 2015. Abstract will work with Virgin Atlantic to complete a bespoke fit out during early 2016 prior to occupation and the airline will take a 16.5 year term from 1 April 2016. Mark Glatman, Chief Executive of Abstract, commented "We are delighted that Virgin Atlantic have committed to our most recent scheme and this letting reflects our totally occupier focused approach to office development where we continue to deliver great quality Grade A space from a user perspective. such an efficient building delivering a significant reduction in property costs underlines what we at Abstract are looking to deliver." 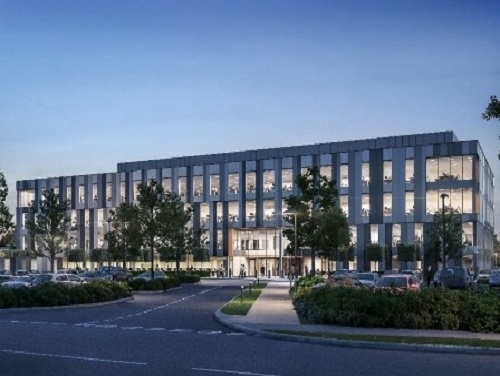 Abstract has been one of the most active office developers in the UK over the last 3 years delivering close to a million sq ft of new Grade A office space in Croydon, Aberdeen, Glasgow and the Leonardo Scheme near Gatwick. Phil Maher, Virgin Atlantic's Executive Vice President, Operations, said: "We are excited to announce that we have chosen the Leonardo development as our new Head Office building. We will be working with Abstract on the building design so it truly embodies Virgin Atlantic. Christopher McPherson, Abstract's Development Director said: "It has been a delight to work with the whole Virgin Atlantic team in this process, and both our organisations are completely aligned in our focus on customer satisfaction and delivery. "We build great quality and highly efficient space with excellent environmental credentials which leads to much lower running costs against older offices, as evidenced by the success of our recently completed developments as well as our 170,000 sq ft. St Vincent Plaza scheme which is on track to complete this Summer and where interest levels are very strong." The Leonardo Building is arranged over four floors each of around 28,000 sq ft on a site of three acres. Quoting rent is £23 per sq ft.
Joint agents for The Leonardo Building are Knight Frank, Savills and SHW.